I’m sure you have been curious and interested to know where and how I blog despite my busy schedule with the kids. 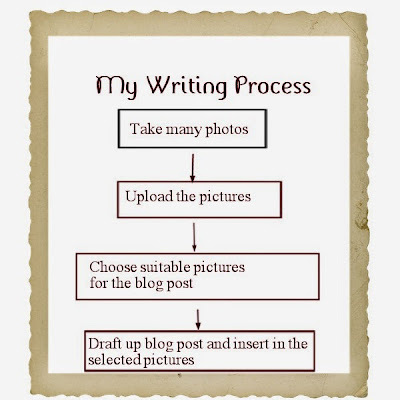 Before I start on sharing my blogging process with you here is some information about the blogger who introduced me to this Writing Process Blog hop. Summer of A Happy Mum introduced me to the Writing Process Blog Hop. A busy mom to two lovely girls Angel and Ariel. I got to know her back in 2012 via SMB and had the chance to work together with her on a few blogging campaigns. You can read about Summer’s entry here on her writing process. Blogging has really widen my circle of mummy friends and brought about both online and offline friendships. It has allowed me to expand on my love for writing and share my thoughts and experiences with both family and friends. It has also allowed the kids and me to gain many different experiences through the events we attend , products that we review and the friends that we have made through this blog. Dominique’s Desk has also opened up many different avenues for me and allowed me to be able to add to the family income while being at home for the kids. 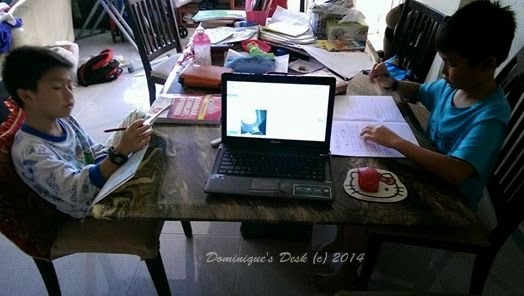 Blogging, as most work in our house, takes place at the biggest table in our house- the dining table. Here is the place where I churn out my blog post while simultaneously monitoring the boys as they do their homework/ revision. Everyone works around the dining table as it is easier for me to monitor all at once. June is an extremely busy month for me as the kids are on holiday. This month we have been abroad an on holiday to HongKong & China. I’ll have yet to share all the adventures we had that week and am still in the process about writing out my holiday posts. So far I’ve written two posts- Tips on flying solo with kids and the Blooms we saw at Hong Kong’s Wetland Park. I’ll be sharing our experience at Chimelong Resort park under the big tent and the water park in upcoming posts. I have a few book reviews to cover on topics which of current interest to me like – detoxing, understanding teenagers and crafts for kids. I will be concluding my existing series on Parenting with Less Stress and start up a new one on relationships besides slotting in the reviews of the products which I currently have on hand. B) How does my work differ from others in its genre? There are tons of parenting blogs around and in Singapore itself there are a few hundreds that I know of. What makes my blog different is that it has both a wide international audience and a local following. There are many of the items/topics featured here on Dominique’s Desk are unique to the blog as it is based on my own interests in parenting, photography and education. C ) Why Do I Write? I believe in blogging about what I am passionate about and share my personal experiences in the different situations which I have encountered. It is a way for me to jot down the memories that I have and share with the kids and the rest of the family and friends. I treasure all the opportunities that have come my way via blogging and how blessed we are for the generous sponsors that we have. The products and services that I have been able to try out have really benefited the kids and me and made it easier for me in creating a conducive learning environment for them. It can take anywhere between 30 minutes to a few weeks to get a post drafted. It depends on my energy level and the amount of distractions that I have to deal with at that particular moment. This particular post which you are currently reading took me about three hours to write as I had to deal with supervising the kids doing their Chinese homework, cooking and settling dinner and putting the kids to bed. It’s not really that difficult for me to come up with the words to write and select the picture as I already have what I want to write in the post sketched out in my mind. If there wasn’t any interruptions to deal with I could get it out within an hour and that includes spell check and proof reading. I guess being a writer/editor and also having the ability to speed read and type helps a lot. Having a vested interest in photography also makes it easy for me to have relevant photographs on hand. Each time we travel I take thousands of shots which can l slowly showcase on the blog. Sometimes the same photograph can be re-used depending on the angle that I have in mind for the post. The kids are my priority and when they are around blogging takes a backseat or is scheduled to be performed in bits and pieces in the spare minutes that I have while monitoring/teaching them at home. I’ve cut down the time that I am spending on blogging and am blogging lesser then I used to now that the kids are getting older and demanding more of my time. It is all about blogging SMART and so far I’ve managed to achieve this balance through having a blogging calendar and schedule which I follow. I also schedule my post if possible and it frees up my time to do social media promotions and other online activities which need my attention. 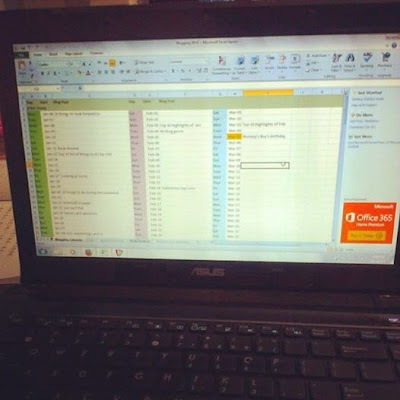 How do you blog and juggle all your other commitments? As we enter Feburary I can’t help but think back on how the past month had gone by. Even though I do a Highlights of the past month every month I feel that I should resume my assessment of whether I have met the goals and targets set for that particular month. Accountability is something that has to constantly worked on. I know that sometimes it can be really hard to be discipline and see through on what has been planned. Sometimes you really feel like cutting yourself some slack and not complete what was written on the To-Do List. However once you start to procrastinate you are just setting up yourself for failure in completed set goals. I am still struggling in this area and really do need more discipline in getting regular exercise in order to meet my weight lost goals for the year. The world around us has really changed a lot the past year and there are more and more reports of harmful chemicals in various foods. Nothing seems to be save to eat nowadays and it is not just products/ foods that are made in China. Many unscrupulous businessmen have been adding various industrial chemicals into our foods as they want to increase their profit margins. They disregard the safety of foods and we the consumers have been unknowingly digesting this toxins into our system killing ourselves slowly. As end consumers it is our responsibility to be well informed about the origins of the food that we consume and keep updated with the latest findings in the world so that we get the best foods for our kids.